Their versatility will allow you to use them in different rooms, according to your desires and needs. 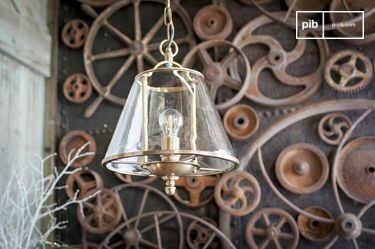 You can group them together in the living room, so that they can be substituted for a classic coffee table, or arranged in different parts of the room to create an aesthetically harmonious whole. For example, you could place one at the end of the sofa, one by a larger coffee table and one by your wooden bookcase. This would guarantee decorative originality. 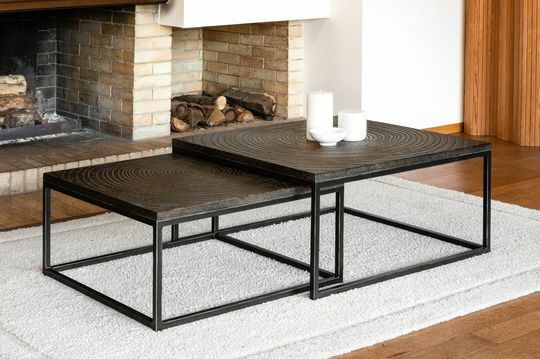 The nesting coffee table is available in many different sizes and are made with a variety of materials, ranging from a rugged, premium wood to painted or patinated metal. It will, therefore, be easy to find the set that suits you, whatever your needs may be. The many nesting coffee table models on offer tend to differ based predominantly on two main factors: height and material. 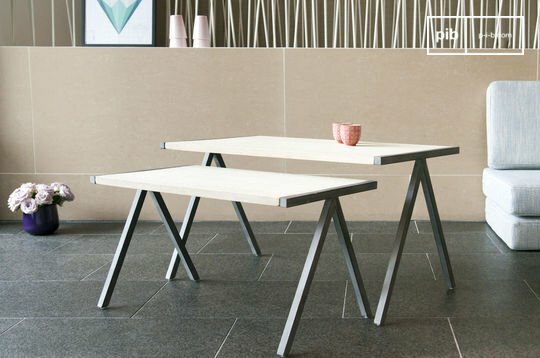 A trio or a duo of high tables will not be suitable for the centre of a living room. 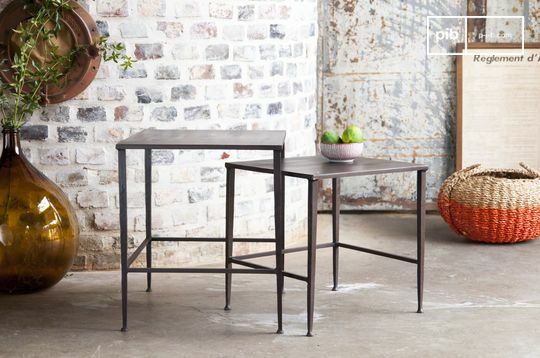 We advise you to opt for lower nesting tables. On the other hand, they will be perfect in an entrance, perhaps as a console, where you can store letters, car keys etc. You should also choose the materials that suit you. Do you prefer solid wood or metal? 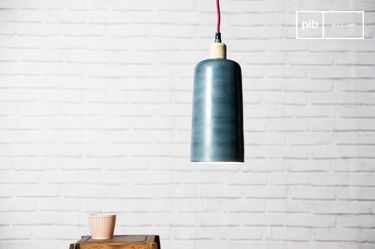 Generally, painted metal models bring an appreciated, colourful touch to modern, Scandinavian interiors. 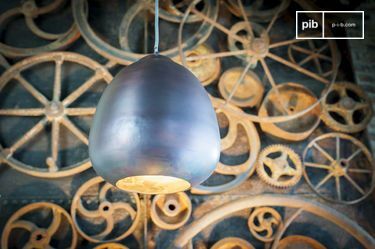 That said, a copper finish is also perfect for industrial-style rooms. According to your tastes, only you can decide whether or not you want to introduce patina to your home with a nesting coffee table set. Noble solid wood is another possibility because it offers a wide range of tones and shapes. Dark, intricate rosewood will be ideal at the end of a leather sofa, or as a bedside table. Oak or teak wood is lighter, but equally resistant. 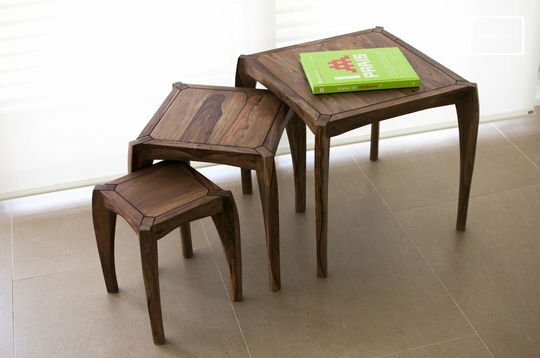 You can also use these items in the entrance, or as an extra solid wood table in the office. 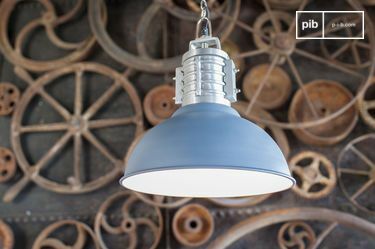 Whatever style you choose, the quality of the materials and their finishes guarantee optimum durability and a vintage look. Low nesting tables will be perfect in a reading corner, near a bookcase, or outdoors for an afternoon in the sun.